In every academic year, the admission period in Nigeria schools is a limited season that often causes stress, chaos and confusion. This is more in tertiary institutions like universities and polytechnics. Primary and secondary schools in Nigeria have their own shares also. This is especially evident in educational institutes that work with a manual admission process where a team of educators are made responsible for the entire admission process – from collating admission forms to inducting the new students into the school. However, today with the help of a school admission management system, it is easy to transform this chaos into a seamless and efficient flow that not only reduces the burden on the educational institutes but elevates the brand image and presents a competitive advantage for the institution. What are the benefits of an admission management system? 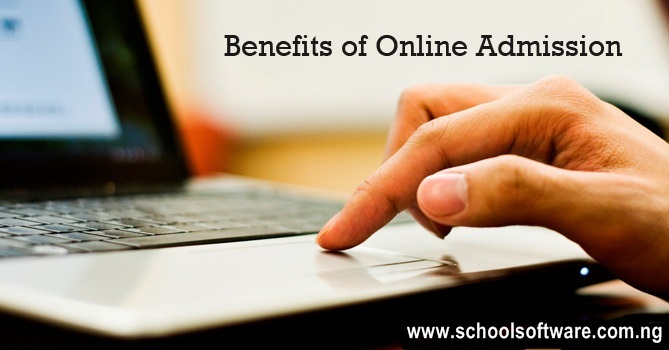 Using a school admission management system will help educational institutes to distribute their admission forms to a wider range of students using various online tools and forums. This will lead to a wider pool of applicants. Additionally, these digitally savvy applicants can then use the mobile and cloud-based system to submit the forms, upload essential documents, apply for scholarships, etc. All these processes can be done online using the features and functionalities of the school management system and thus create a paper-free and hassle-free digital admission process. Manual admissions are also characterised by endless phone calls by hassled parents and students looking for information on the admission process, updates on the application status and other admissions-related information. However, using school ERP system educational institutes can send parents and students timely updates about the admission process. With the help of technology, schools can send parents relevant emails and mobile messages – which can be easily personalised to include student name as well as updates on admission tests, interview dates, reminders as well as the final admission status. Using an online admission system, schools and educational institutes will be able to create a database of potential applicants as well as previous years applicants and send them automatic emails and messages about events, new courses, special guest lectures and other relevant marketing information. This is one of the most effective and fastest ways to reach out to your database of students. Many schools have multiple campuses across various locations. An online admission process will enable the educational institutes to offer a similar admission experience irrespective of the location. An online admission system also allows for multi-lingual admission process for students and parents who are more comfortable in local languages. The admission management system can easily be customised to send out admission forms and admission updates in local languages for the parents and students. Manual admissions offer plenty of opportunities for human error. Admission period is a stressful time, with this there is the added pressure of meeting the admission deadlines, processing thousands of applications, coordinating with hundreds of new admissions – this can often lead to errors which then reflect badly on the image of the institute and can create a negative impression in the minds of all stakeholders. An online school ERP system eliminates the potential for such errors. Using a school management system schools and colleges can store all their student-related date on a secure online platform. This system ensures all student information, as well as information about student payment, is stored in a way that is secure with access to only recognized and approved individuals. This also saves educational institutes the hassle of keeping all the admission forms and other data in a safe vault or storehouse. A school online admission system makes managing admission data more secure and easier than ever before. Another essential advantage of using an admission management system during the school admission season is that it offers an easy way for the school to manage fee payment and automatic invoice generation. The online system also generates a fee summary at the start of every academic year to ensure that students and parents are aware of the financial obligations. Automatic, personalised emails also ensure that parents get timely reminders for the payment. Many online admission systems allow students to make payment using their next generation features and tools. Once the admissions are well underway, another stressful task is the creation of timetables that ensure that the students make the best use of their time, and yet do not stress the students. With the help of the timetable management features in the software, it becomes easy for the school to create interactive timetables, that take into the account holidays, teacher absences etc. This advanced software system ensures that substitute teachers are assigned as and when needed. Today, we live in an era where time is an essential and scarce resource. Using an admission management system can help schools and educational institutes to reach out the students and parents at their point of need, ensuring that all the processes required for admission can be done from the comfort of their home or their office. The use of a school ERP system ensures that the admission process can be done at any time convenient to the parent, irrespective of location. This is an invaluable feature that will help benefit parents and will greatly enhance the admission process for all involved.